Email sme@crossfit.com for discounts for military personnel, first responders, and law enforcement officers. 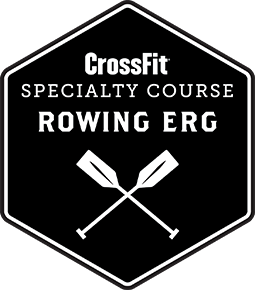 This course gives participants the opportunity to maximize skill and familiarity with rowing on a Concept2 ergometer, an important component of many CrossFit workouts. The day will be spent learning rowing techniques for optimal power and efficiency, and programming CrossFit workouts. The course comprises of lectures, practical skill sessions on Concept2 indoor rowing machines, video analysis and two CrossFit workouts. Knowing how to row correctly and teach rowing to your clients are invaluable skills that you can only learn here at this course.